Gilberto Simoni was victorious the last time a Giro stage finished on the Campitello Matese back in 2002 — but, this being the early noughties, he subsequently left the race for producing a non-negative test for cocaine. He was later cleared, but the controversy of the incident left its mark on the race. It’s the second weekend at the Giro, and the organisers have given the off-work tifosi flocking to the roadside and their television sets something to enjoy in the form of an enticing-looking early mountain stage. 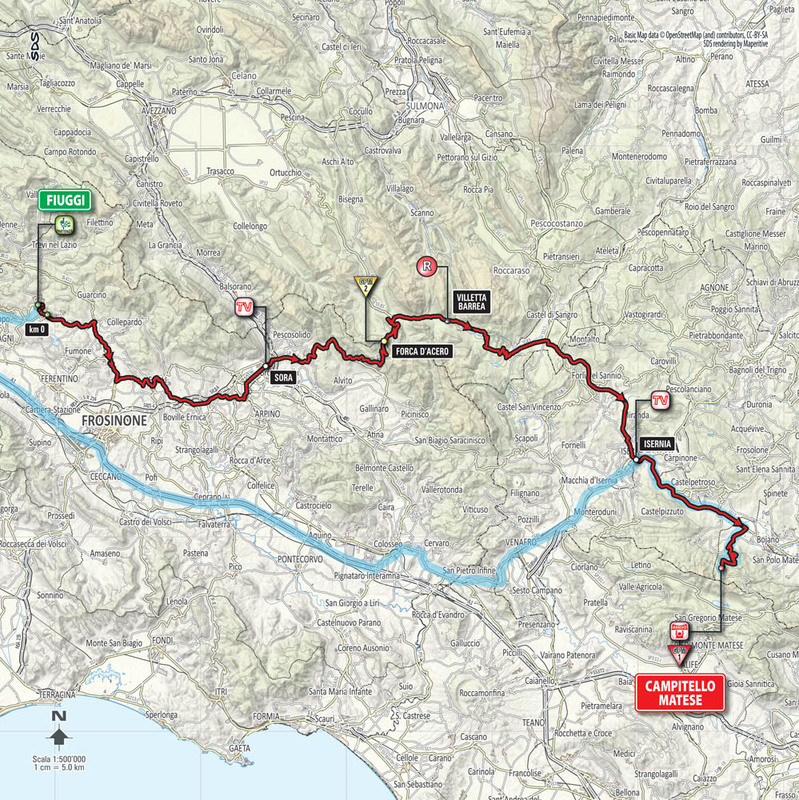 The 29km Forca d’Acero may be much too far from the finish (just over 100km) to draw the GC riders out, but is long enough to prompt climbing stage-hunters to get into an early break. They’ll also be encouraged by the following run-in to the final ascent, which, despite only featuring one short categorised climb, is lumpy enough to help consolidate their lead. 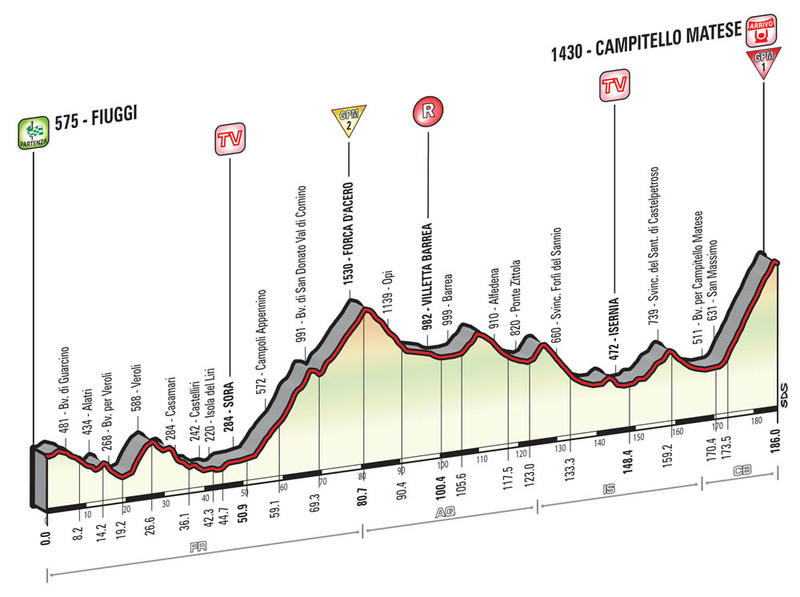 Any survivors from the break will, however, have their work cut out to hold off the GC riders on the Campitello Matese. At 13.6km in length and with a 6.5 per cent average gradient, it’s a typical early mountain-top finish — difficult enough to force selections, but not to determine the overall winner. We’re tempted to draw upon that most overused of cycling clichés — that you may not be able to win the Giro on a stage like this, but you certainly can lose it — but history suggests that logic may not apply: two of the six winners here have gone on to claim the overall.